After 33 hours of play, Benjamin Dobson is feeling good about his Stud game after winning his first World Series of Poker bracelet in Event #25: $1,500 Seven Card Stud Hi-Lo 8 or Better for his biggest live cash of $173,528. “I’m on top of the world right now,” Dobson said after his win. 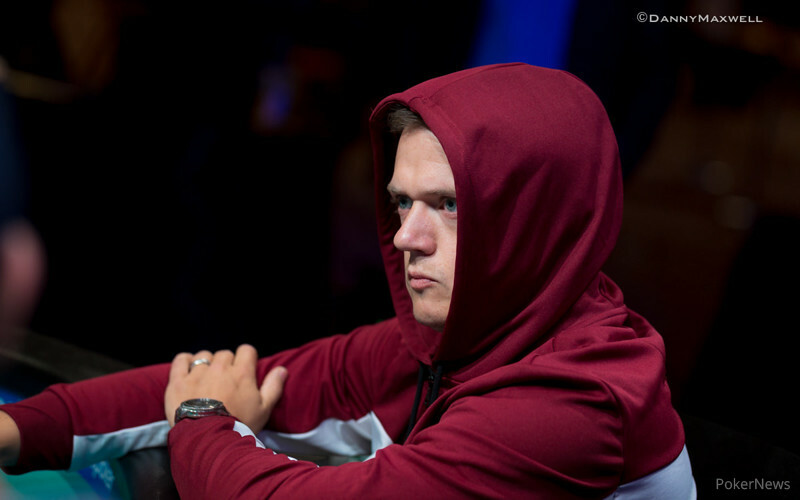 While Stud 8 is one of his favorite games to play, he simply doesn’t get to play it too often in Europe and the majority of his more than $1 million in live tournament earnings have come in no-limit hold’em events. After scooping Mike Matusow in a big pot on Day 2 with boat over boat to take the chip lead, Dobson led for the majority of the final couple days of play. He was able to hold on, despite plenty of high-level competition in two-time bracelet winner Jesse Martin who busted in third, and runner-up Tim Finne, who took fourth in this event last year. After closing it out, Dobson felt relieved. 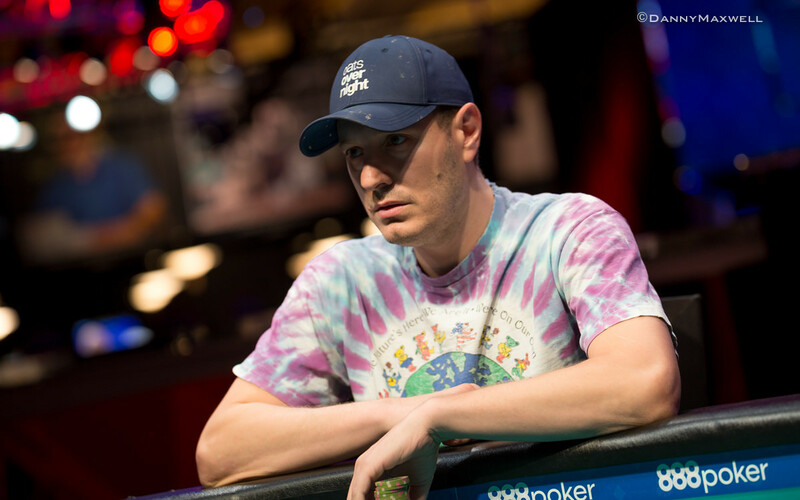 Even holding the chip lead, as the blinds got so big on Day 3 and into the final day, Dobson knew that if he got scooped in a couple pots, he would lose the lead and easily become the short stack. “While I was playing quite loose on third street, I was making sure that I wasn't trying to overcommit on fifth, sixth, seventh, like chasing stuff which you know might cost me a large percentage of my stack. But I managed to just kind of stay afloat with small pots and then obviously running good in some of the big ones to scoop. And that's the key: Just don't brick on 7th street,” Dobson said with a chuckle. The event drew 596 runners to generate a prize pool of $804,600, of which 90 players got a piece. After bagging big on Day 2, three-time bracelet winner Barry Greenstein hit the rail in 18th place for $4,899 and another three-time champ, Eli Elezra, fell a bit short of the final table in 12th for a payout of $9,165. With the elimination of PJ Cha in ninth ($11,724), the official final table was set. Peter Brownstein was the first casualty of the final table, followed by bracelet winner Georgios Sotiropoulos in seventh and James Nelson in sixth. 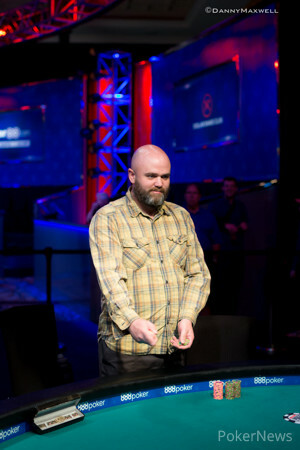 Next to go was Tom McCormick, who was playing at his 15th WSOP/WSOP-C final table. 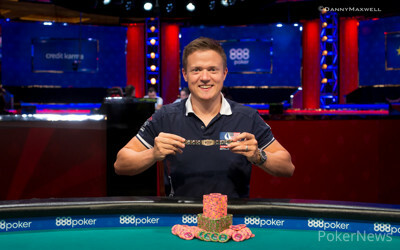 He added his 72nd WSOP cash with his fifth-place finish for $37,504. Richard Monroe would be the last one out before the final three bagged up to return for an unscheduled Day 4. The final three returned on Thursday with Dobson holding almost 60 percent of the chips in play, Martin with the shortest stack and only 24 big bets in play. Martin saw his stack fluctuate a good amount, but he eventually got down under two big bets and got it in with a pair of aces on fourth street against Dobson’s 8-7 low draw. Both players bricked their lows, but Dobson ended up with sevens up, good enough for the scoop to send Martin out short of a third bracelet. 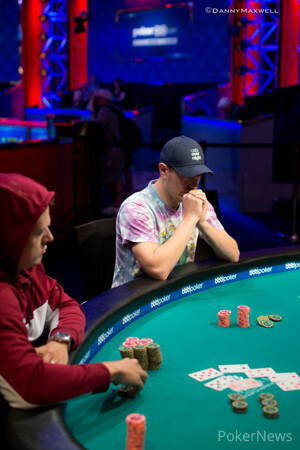 Jesse Martin fell short of his third WSOP bracelet, taking third place in Event #25. Heads-up didn’t last long. Dobson started out with a nearly 3-1 chip lead over Finne and pretty soon, Dobson scooped Finne when he made a flush on seventh street, knocking Finne down under three big bets. The blinds went up and Finne committed the rest of his stack on fourth street. He was drawing dead on sixth as his board ran out / / against Dobson’s / / that made a 6-5 low and a straight on fifth street, good for the scoop and the win. With his wife flying into town tomorrow, Dobson will take a few days off and probably do a bit of shopping. After that though, it’s back to the WSOP grind, armed with a bankroll and confidence boost. That marks the conclusion of Event #25, but there's still plenty of World Series of Poker action to follow as the PokerNews live reporting team continues to bring live updates from the tournament floors of the Rio. Tim Finne Eliminated in 2nd Place ($107,243); Benjamin Dobson Wins! Tim Finne had the bring-in and Benjamin Dobson completed to 120,000 on the first hand of the new level. Finne made it two bets to go, and Dobson called the 240,000 total. On fourth, Finne led out, Dobson announced a raise, and Finne was all in for his 315,000 total with Dobson making the call. "I have blockers!" announced Finne. Dobson found the on fifth to give him a near-lock on the hand as Finne found the . For Finne, he would need to go runner-runner to get any of the pot back, and when he found the on sixth he would be drawing dead as Dobson caught the . Seventh street saw Finne find the , and Dobson the , and with that, Finne collected $107,243 for his 2nd place finish while Dobson was crowned the Event #25 Champion! Benjamin Dobson had the bring-in and Tim Finne called. Both players checked fourth street and on fifth, Finne bet, Dobson raised, and after a long pause, Finne called. On sixth street, Dobson bet with his pair of nines showing and Finne called. Dobson bet again on seventh and Finne called. Dobson tabled for a flush and that was good for the scoop. Tim Finne had the bring-in and Benjamin Dobson completed. Finne called, and then called a bet on fourth street. Both players checked fifth and sixth streets. On seventh, Finne bet out and Dobson raised. Finne called, and Dobson tabled his for a flush, and Finne mucked. Play has now begun, and Tim Finne and Benjamin Dobson are heads up for the Event #25 bracelet. 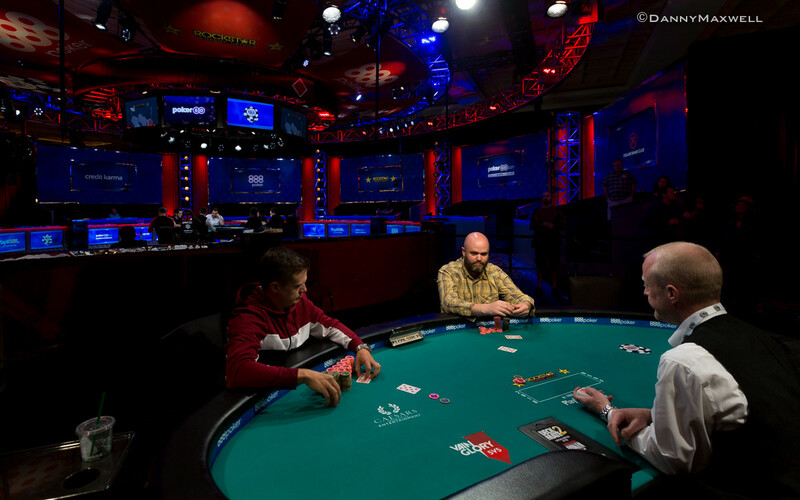 For the player left standing, they will be awarded their first WSOP bracelet, and the $173,528 first prize. Benjamin Dobson and Tim Finne are taking a short break before heads-up play begins. Benjamin Dobson had the bring-in, Jesse Martin completed and Dobson called. On fourth, Martin checked, Dobson bet and after a long pause, Martin raised. Dobson put in the three-bet and Martin called for the rest. Neither player made a low and Dobson scooped with sevens up, sending Martin out in third place. Jesse Martin had the bring-in and Benjamin Dobson called. Martin bet fourth and Dobson called, but on fifth, a bet from Dobson would take the pot down.